Washington • Prosecutors have begun presenting evidence to a grand jury in Washington in their probe of whether former interior Secretary Ryan Zinke lied to federal investigators, according to two individuals briefed on the matter. The Mashantucket Pequot and Mohegan tribes' push to run a gambling facility in East Windsor, Connecticut, had sparked a lobbying campaign by MGM Resorts International, a competitor that opposed the planned casino. The proposal was the subject of intense scrutiny at Interior and the White House during President Trump's first months in office. Investigators with the Interior Department's inspector general's office came to believe Zinke had lied to them in the course of that inquiry, and referred the matter to the Justice Department late last year. Making false statements to federal officials constitutes a crime, but it can be difficult to prove because it requires prosecutors to show a person "knowingly and willfully" lied, rather than simply misstated a fact. "The Department of Interior should not take a position on any activity outside the reservation that is not bound by law or treaty," he said. "I sided with a principle that I didn't want to take a position on something that was off the reservation. I had multiple legal counselors' opinions about what was legal. The investigators may not have liked my answers, but they were truthful." The Mashantucket Pequot and Mohegan tribes sought federal approval in 2017 to operate a commercial casino off their reservations, in an arrangement that would ensure the operation gave 25 percent of its slot revenue to the state of Connecticut. Interior officials — including career staff and two Trump appointees — had tentatively signed off on the tribes’ proposal in the summer of 2017. But in September the department declined to approve it, prompting a lawsuit by Mashantucket Pequot and the state of Connecticut. The tribe has questioned whether Zinke was improperly influenced by Rep. Mark Amodei, R-Nev., and then-Sen. Dean Heller, R-Nev., both of whom have received contributions from MGM Resorts International. The company ranked as Heller’s second-biggest contributor between 2011 and 2016, according to the Center for Responsive Politics,giving him $57,450 during that period. In September, U.S. District Judge Rudolph Contreras dismissed the tribe's initial claim. The Mohegan tribe withdrew from the litigation after Interior acknowledged the validity of its gaming agreement in June 2018. 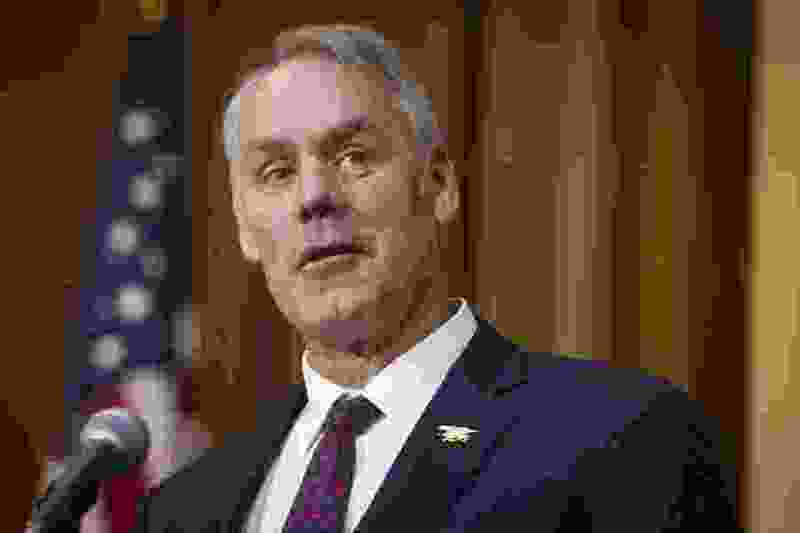 Zinke, who voluntarily participated in two inspector general interviews about the matter, told The Post that he resigned at the start of the year because the investigations and "anger and hatred" from liberal opponents had created a poisonous atmosphere for him and the department he headed. "If I had stayed, I would have become an angry person, and I didn't want that," he said. The Washington Post’s Matt Zapotosky and Josh Dawsey contributed to this report.